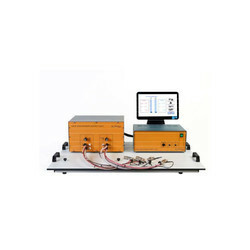 Leading Manufacturer of electrical measurements, heating and sanitary plants, heat transfer, fluid mechanics dididactic simulators and hydraulic bench with accessories from Jaipur. Electrical Measurements catalogue has been conceived for the presentation of the De Lorenzo panel type electrical installations laboratories It includes the series DL 2101T, for civil installations, the series DL 2102T, for industrial installations and the series DL 2109T, for the study of electrical measurements The modules composing the laboratories are made of real components assembled on isolated panels for insertion in work frames Unit symbols and standardized mimic diagram are displayed on the front panel and the connections are made via sockets meeting safety standards. 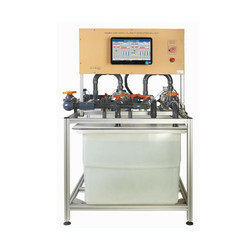 Heating and Sanitary Plants consists of a set of simulation panels and of demonstrators with real components that allow studying and performing practical tests in refrigeration and air conditioning The simulation panels are supplied with a CAI software that allows students to develop all the learning activities through a PC. 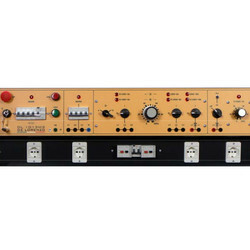 If the PCs are connected to a computer network, a laboratory management software allows a complete control by the teacher of all the activities within the laboratory Both the simulation panels and the demonstrators are provided with a fault simulation system. 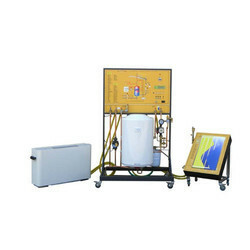 Heat Transfer consists of a set of simulation panels and of demonstrators with real components that allow studying and performing practical tests in refrigeration and air conditioning.The simulation panels are supplied with a CAI software that allows students to develop all the learning activities through a PC. If the PCs are connected to a computer network, a laboratory management software allows a complete control by the teacher of all the activities within the laboratory the simulation panels and the demonstrators are provided with a fault simulation system. 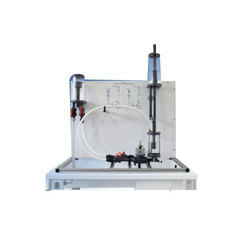 Fluid Mechanics Dididactic Simulators has many applications in various fields, such as naval engineering, aircraft engineering, or the study of blood circulation, and has also many applications in everyday life.The proposed laboratory includes a hydraulic bench full of didactic modules, a number of stand-alone systems that can be used to study the properties of the fluids, the pressure losses, the metacentric height, the cavitation, the Venturi effect, the Bernoulli's theorem, the Reynolds number, the series-parallel pumps etc and a wind tunnel. Fluid mechanics has many applications in various fields, such as naval engineering, aircraft engineering, or the study of blood circulation, and has also many applications in everyday life. The proposed laboratory includes a hydraulic bench full of didactic modules, a number of stand-alone systems that can be used to study the properties of the fluids, the pressure losses, the metacentric height, the cavitation, the Venturi effect, the Bernoulli's theorem, the Reynolds number, the series-parallel pumps, etc. and a wind tunnel. Looking for Electrical Installations ?